London and across the UK. Foam can be cut to size for any application with our specialist CNC foam cutting machinery. Whether it's for cylinder bar stools, mattresses, or sofa cushions, you can be assured of a high quality bespoke service. 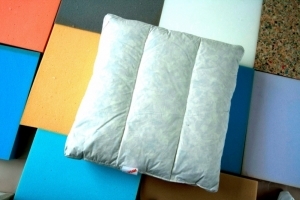 Our fibre cushions are constructed with a fibre wrap-foam core. You'll benefit from a combination that gets the best out of their natural characteristics creating the perfect cushion for seating. 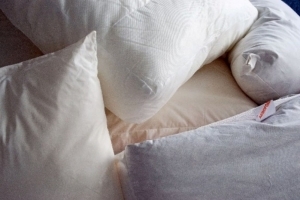 Designed in any shape to match your needs, our hollow fibres are a versatile and ideal solution for back cushions. You can benefit from choosing between a corovin or calico case for your furniture. 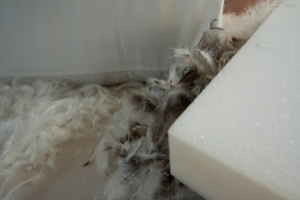 Our feather wrap gives you the ultimate combination for seating as it comes with a removable foam core. This can be placed inside a duvet style feather or feather and down filled cambric jacket. 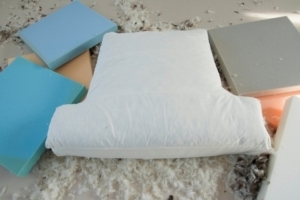 Supplying cushion pads, bolsters and pillows in any shape or size to furniture and interior designers, upholsterers, retail outlets and hoteliers, our natural and synthetic loose fillings are of the highest quality. Our pharmaceutical foam products can be custom made to suit your specifications. We understand the importance of sterilisation, which is why all of our pharmaceutical foam is autoclavable. To have all your foam conversion requirements met, contact us today on 020 8204 8411. 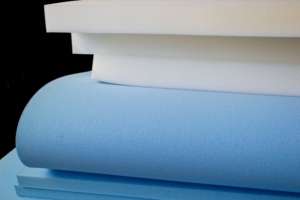 To find out more about our foam specifications, click here.